Wake up America and get healthier to decrease disease and illness of all ages to make our country a better place for all citizens to live in. National Institute of Neurological Disorders and Stroke. 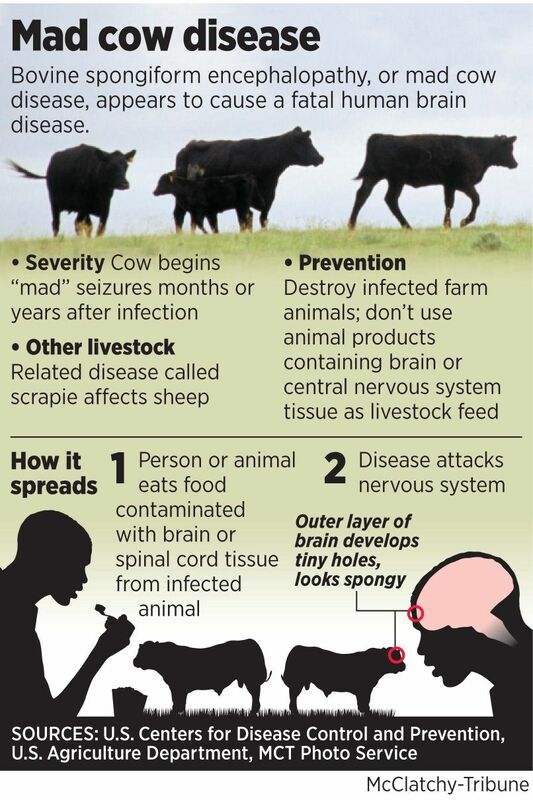 Part II MAD COW DISEASE=bovine spongiform encephalopathy (BS & in humans called Creutzfeldt-Jakob disease (vCJD). 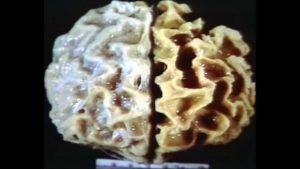 Brain Results that were exposed to Mad Cow Disease making the brain a spongy like appearance. This is how it got the name BSE. U.S. Drug and Food Administration states, “People can get a version of BSE called variant Creutzfeldt-Jakob disease (vCJD). As of December 4, 2017, 231 people worldwide are known to have become sick with vCJD according to the University of Edinburgh’s National CJD Research & Surveillance Unit. It is thought that they got the disease from eating food made from cows sick with BSE. Most of the people who have become sick with vCJD lived in the United Kingdom at some point in their lives. Only four lived in the U.S., and most likely, these four people became infected when they were living or traveling overseas. Unfortunately, there are currently no treatments for prion diseases, brain-wasting diseases that are invariably fatal. 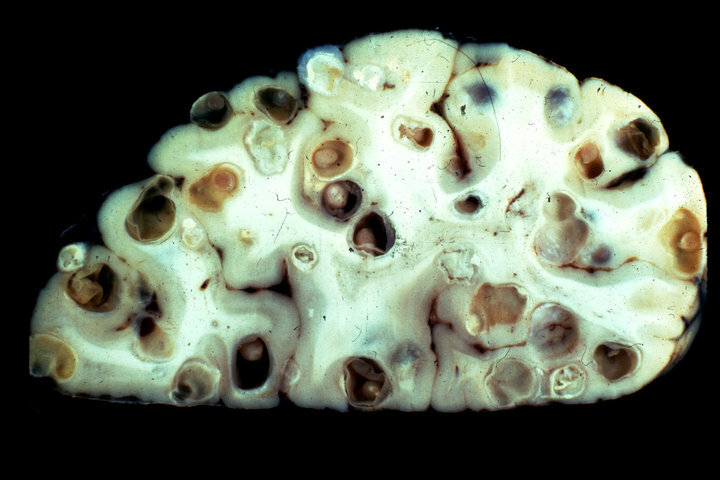 The most common human prion disease is Creutzfeldt-Jakob disease (CJD), better known as mad cow disease. This disease is rare in humans. Symptoms of Creutzfeldt-Jakob disease (CJD) can resemble those of other dementia-like brain disorders, such as Alzheimer’s. But Creutzfeldt-Jakob disease usually progresses much more rapidly. CJD captured public attention in the 1990s when some people in the United Kingdom developed a form of the disease — variant CJD (vCJD) — after eating meat from diseased cattle. However, “classic” Creutzfeldt-Jakob disease hasn’t been linked to contaminated beef. Although serious, CJD is rare, and vCJD is the least common form. Worldwide, there is an estimated one case of CJD diagnosed per million people each year, most often in older adults. As the disease progresses, mental symptoms worsen. Most people eventually lapse into a coma. Heart failure, respiratory failure, pneumonia or other infections are generally the cause of death. Death usually occurs within a year. In people with the rarer vCJD, psychiatric symptoms may be more prominent in the beginning, with dementia — the loss of the ability to think, reason and remember — developing later in the illness. In addition, this variant affects people at a younger age than classic CJD does and appears to have a slightly longer duration — 12 to 14 months. Creutzfeldt-Jakob disease & its variants belong to a broad group of human & Sanimal diseases known as transmissible spongiform encephalopathies (TSEs). 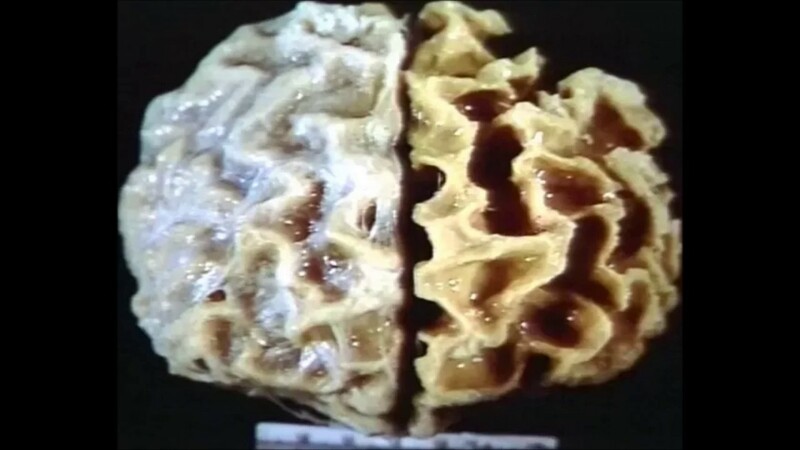 The name derives from the spongy holes, visible under a microscope, that affect the brain tissue. How its transmitted? The risk of CJD is low. The disease can’t be transmitted through coughing or sneezing, touching, or sexual contact. 1-Heredity: 15 percent of people with CJD have a family history of the disease or test positive for a genetic mutation associated with CJD. This type is referred to as familial CJD. 2-Exposure to contaminated tissue. People who’ve received human growth hormone derived from human pituitary glands or who’ve had grafts of tissue that covers the brain (dura mater) may be at risk of iatrogenic CJD. .
3-The low risk of contracting vCJD from eating contaminated beef. A human version of mad cow disease called variant Creutzfeldt-Jakob disease (vCJD) is believed to be caused by eating beef products contaminated with central nervous system tissue, such as brain and spinal cord, from cattle infected with mad cow disease. 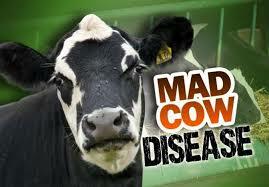 Part I MAD COW DISEASE=bovine spongiform encephalopathy (BSE) & in humans called Creutzfeldt-Jakob disease (vCJD). Mad cow disease, or bovine spongiform encephalopathy (BSE), is a disease that was first found in cattle. It’s related to a disease in humans called variant Creutzfeldt-Jakob disease (vCJD). Both disorders are universally fatal brain diseases caused by a prion. A prion is a protein particle that lacks DNA (nucleic acid). It’s believed to be the cause of various infectious diseases of the nervous system. Eating infected cattle products, including beef, can cause a human to develop mad cow disease. 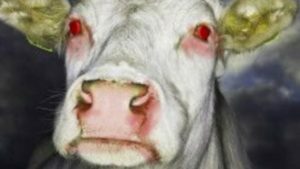 What is mad cow disease? Mad cow disease is a progressive, fatal neurological disorder of cattle resulting from infection by a prion. It appears to be caused by contaminated cattle feed that contains the prion agent. Most mad cow disease has happened in cattle in the United Kingdom (U.K.), a few cases were found in cattle in the U.S. between 2003 and 2006. There were 4 more reported up to 2018. Feed regulations were then tightened. In addition to the cases of mad cow reported in the U.K. (78% of all cases were reported there) and the U.S., cases have also been reported in other countries, including France, Spain, Netherlands, Portugal, Ireland, Italy, Japan, Saudi Arabia, and Canada. Public health control measures have been implemented in many of the countries to prevent potentially infected tissues from entering the human food chain. These preventative measures appear to have been effective. For instance, Canada believes its prevention measures will wipe out the disease from its cattle population by 2017. What is variant Creutzfeldt-Jakob Disease (vCJD)? Creutzfeldt-Jakob Disease (CJD) is a rare, fatal brain disorder. It causes a rapid, progressive dementia (deterioration of mental functions), as well as associated neuromuscular disturbances. The disease, which in some ways resembles mad cow disease, traditionally has affected men and women between the ages of 50 and 75. The variant form, however, affects younger people (the average age of onset is 28) and has observed features that are not typical as compared with CJD. About 230 people with vCJD have been identified since 1996. Most are from the U.K. and other countries in Europe. It is rare in the U.S., with only 4 reported cases since 1996. What is the current risk of acquiring vCJD from eating beef and beef products produced from cattle in Europe? On December 23, 2003, the U.S. Department of Agriculture (USDA) announced a presumptive diagnosis of the first known case of BSE in the United States. It was in an adult Holstein cow from Washington State. This diagnosis was confirmed by an international reference laboratory in Weybridge, England, on December 25. Trace-back based on an ear-tag identification number and subsequent genetic testing confirmed that the BSE-infected cow was imported into the United States from Canada in August 2001. 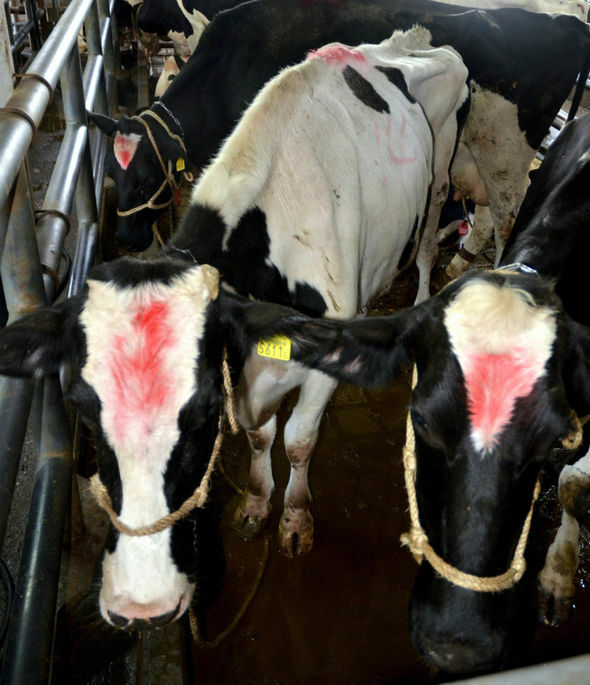 Because the animal was non-ambulatory (a “downer cow”) at slaughter, brain tissue samples were taken by USDA’s Animal and Plant Health Inspection Service as part of its targeted surveillance for BSE. However the animal’s condition was attributed to complications from calving. After the animal was examined by a USDA Food Safety and Inspection Service (FSIS) veterinary medical officer both before and after slaughter, the carcass was released for use as food for human consumption. During slaughter, the tissues considered to be at high risk for the transmission of the BSE agent were removed. On December 24, 2003, FSIS recalled beef from cattle slaughtered in the same plant on the same day as the BSE positive cow. On June 24, 2005, the USDA announced receipt of final results from The Veterinary Laboratories Agency in Weybridge, England, confirming BSE in a cow that had conflicting test results in 2004. This cow was from Texas, died at approximately 12 years of age, and represented the first endemic case of BSE by a cow in the United States. On March 15, 2006, the USDA announced the confirmation of BSE in a cow in Alabama. The case was identified in a non-ambulatory (downer) cow on a farm in Alabama. The animal was euthanized by a local veterinarian and buried on the farm. The age of the cow was estimated by examination of the dentition as 10 years old. It had no ear tags or distinctive marks; the herd of origin could not be identified despite an intense investigation. In August 2008, several ARS investigators reported that a rare, genetic abnormality that may persist within the cattle population “is considered to have caused” BSE in this atypical (H-type) BSE animal from Alabama. On April 24, 2012, the USDA confirmed a BSE case in a dairy cow in California. This cow was tested as part of the USDA targeted BSE surveillance at rendering facilities in the United States. The cow was 10 years and 7 months old and was classified as having the L-type BSE strain. 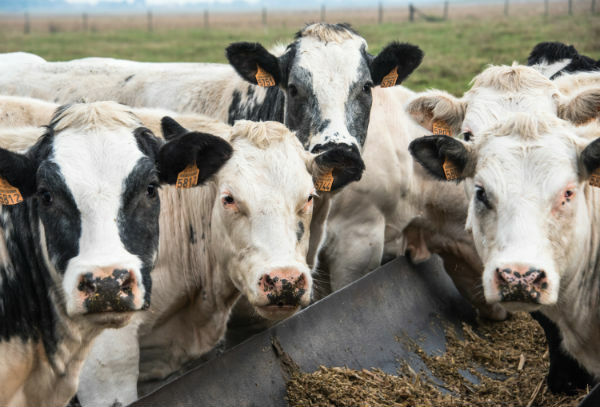 On July 18, 2017, the U.S. Department of Agriculture (USDA) announced the confirmation of the fifth case of bovine spongiform encephalopathy (BSE) in an 11-year-old cow in Alabama. The cow was found through USDA’s routine surveillance. The cow was found to be positive for an atypical (L-type) strain of BSE. Atypical BSE usually occurs in older cattle and seems to arise spontaneously in cattle populations. On August 29, 2018 the U.S. Department of Agriculture (USDA) announced a confirmed atypical, H-type case of bovine spongiform encephalopathy (BSE) in a six year old mixed-breed beef cow in Florida. USDA reported that this animal never entered the food supply and at no time presented a risk to human health. How does the cow even get Mad Cow Disease? The parts of a cow that are not eaten by people are cooked, dried, and ground into a powder. The powder is then used for a variety of purposes, including as an ingredient in animal feed. A cow gets BSE by eating feed contaminated with parts that came from another cow that was sick with BSE. The contaminated feed contains the abnormal prion, and a cow becomes infected with the abnormal prion when it eats the feed. If a cow gets BSE, it most likely ate the contaminated feed during its first year of life. Remember, if a cow becomes infected with the abnormal prion when it is one-year-old, it usually will not show signs of BSE until it is five-years-old or older. Learn more tomorrow in Part II on Mad Cow Disease. Gluten-free is all the rage these days. About a third of people in the US are actively trying to avoid gluten, according to a 2013 survey. 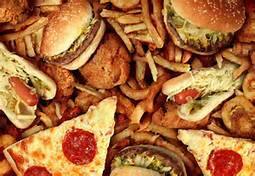 The problem with many gluten-free diets, is that people replace the gluten-containing foods with processed junk foods that happen to be gluten-free, what good is that going to do you in healthy eating (nothing). These gluten-free replacement products are often high in sugar, unhealthy oils and refined grains like corn starch or tapioca starch. These refined starches lead to rapid spikes in blood sugar, and are extremely low in essential nutrients. Alternatives: Choose foods that are naturally gluten-free, like unprocessed plants and animal foods. Gluten-free junk food is still junk food. This is a sweetener that is often marketed as healthy. However, agave nectar is not as healthy as some people think. It is a highly refined sweetener that is extremely high in fructose. High amounts of fructose from added sweeteners (not whole fruit) can be absolutely a disaster for your health. The truth is, agave is even higher in fructose than other sugars. Whereas table sugar contains 50% fructose, and high fructose corn syrup around 55%, agave nectar is 85% fructose. Alternatives: Stevia and erythritol are healthy, natural and calorie free=stevia and erythritol..
Low-Fat Yogurt-it can be incredibly healthy. Unfortunately, most yogurts found in the grocery store are extremely bad for you. They are frequently low in fat, but loaded with sugar to make up for the lack of taste that the fats provided. Put simply, the yogurt has had the healthy, natural dairy fats removed, only to be replaced with something much, much worse. Additionally, many yogurts don’t actually contain probiotic bacteria, as generally believed. They have often been pasteurized. This occurs after fermentation, which kills all the bacteria. Alternatives: Choose regular, full-fat yogurt that contains live or active cultures (probiotics). If you can get your hands on it, choose yogurt from grass-fed cows. Low-carb diets are very popular these days, and have been for several decades. There are plenty of real foods that you can eat on a low-carb diet, most of which are very healthy. However, this is not true of processed low-carb replacement products, such as low-carb candy bars and meal replacements. These are generally highly processed foods that contain very little actual nutrition, just a bunch of artificial ingredients mixed together and then sold as food. Alternatives: If you’re on a low-carb diet, eat foods that are naturally low in carbs. Low-carb junk food is still junk food. Ice cream is one of the most delicious foods on the planet. Unfortunately, it is also one of the unhealthiest. Most commercial ice cream is loaded with sugar. Ice cream is also high in calories, and it is very easy to eat excessive amounts. Eating it for dessert is even worse, because then you’re adding it all on top of your total calorie intake. Alternatives: It is possible to make your own ice cream using healthier ingredients and significantly less (or no) sugar. 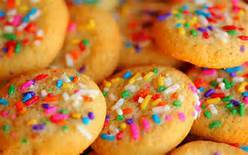 They are high in sugar, refined wheat flour and processed fats. They are also very low in essential nutrients. Processed foods like candy bars are generally engineered to be super tasty (so you eat more), and have been designed so that it’s very easy to eat them quickly. A candy bar may taste good and cause some short-term satiety, but you’ll be hungry again very quickly because of the way these high-sugar treats are metabolized. Alternatives: Eat a piece of fruit instead, or a piece of real high-cocoa dark chocolate. 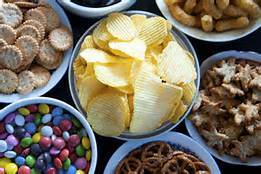 Part I foods bad in our diet and to avoid (on a routine basis). There is a lot of confusion out there about which foods are healthy, and which are not. Let us start with a list of 20 foods that are generally very unhealthy. If you want to lose weight and avoid chronic disease, then you shouldn’t eat much of these foodsif you know you can treat yourself to these foods once and awhile (eat them moderately where 80% of your diet during the week is healthy foods with doing some form of exercise than your doing good). In many cases, the best choice is to avoid them completely but if you know you can treat yourself to these foods once and awhile with actually doing it meaning eating them moderately where 80% of your diet during the week is healthy foods with doing some form of exercise than your doing good. In this article, healthy alternatives are mentioned whenever possible. Added sugar is the single worst ingredient in the modern diet. However, some sources of sugar are worse than others, and sugary drinks are the absolute worst. When people drink sugar calories, the brain doesn’t “register” them as food. For this reason, people don’t automatically compensate by eating less of other foods instead, and end up drastically increasing their total calorie intake. Sugar, when consumed in large amounts, can drive insulin resistance in the body and is strongly linked to non-alcoholic fatty liver disease. It is also associated with various serious diseases, including type 2 diabetes and heart disease. Sugary drinks are the most fattening aspect of the modern diet, and drinking them in large amounts can drive an increase in weight/fat gain and obesity. Alternatives: Drink water, soda water, coffee or tea instead. Adding a slice of lemon or lime to water or soda water can add some taste if you don’t like it plain. Pizza is one of the world’s most popular junk foods. This is not surprising, given that it tastes awesome and is incredibly convenient to eat. The problem is that most commercially prepared pizzas are made with seriously unhealthy ingredients. The dough is made from highly refined wheat flour, and the meats on them are usually processed. Pizza is also extremely high in calories. Alternatives: Some pizza places use healthier ingredients. Homemade pizzas can also be very healthy, as long as you choose wholesome ingredients. Bread is generally made from wheat, which contains the protein gluten. For this reason, all wheat-based breads are a bad idea for people who have celiac disease or gluten sensitivity. However, most commercial breads are unhealthy, even for people who do tolerate gluten. This is because the great majority of them are made from refined wheat, which is low in essential nutrients (empty calories) and leads to rapid spikes in blood sugar. Keeping that in mind remember you have a large meal it goes to your stomach and gets digested sent to the blood eventually with the sugars in it. If you have high sugar amounts your tissues in the body can only utilize so much than your liver storing extra sugar not needed making it inactive converting it to glycogen but if there is still extra sugars hanging around in the blood now it goes into the fat tissue for storage and becomes fat in the tissue. 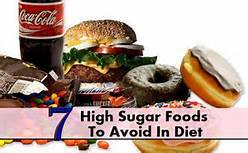 Eat most of your foods high in sugar and obesity results. Alternatives: For people who can tolerate gluten, another type of bread is an excellent choice called ezekiel bread. Remember whole grain bread is also definitely better (or “less bad”) than white bread. Assumed to be healthy, but this is a mistake=most fruit juices. Many fruit juices are actually little more than fruit-flavored sugar water. It is true that the juice contains some antioxidants and vitamin C, but this must be weighed against the large amount of liquid sugar. In fact, fruit juice contains just as much sugar as a sugary drink like Coke or Pepsi, and sometimes even more. Alternatives: There are some fruit juices that have been shown to have health benefits despite the sugar content, such as antitoxin juices (blueberry or pomegranate juices). However, these should be considered as supplements, not something you drink every day to quench thirst. The best drink for supplementing everyday your quench of thirst is water. In the last 100 years or so, people have increased their consumption of added fats. However, this is entirely explained by a drastic increase in the consumption of refined vegetable oils like soybean, corn, cottonseed and canola oils. These oils are very high in omega-6 fatty acids, which humans never consumed in such large amounts before. There are many serious concerns with these oils. They are highly sensitive to oxidation and cause increased oxidative stress in the body. They have also been linked to increased risk of cancer. 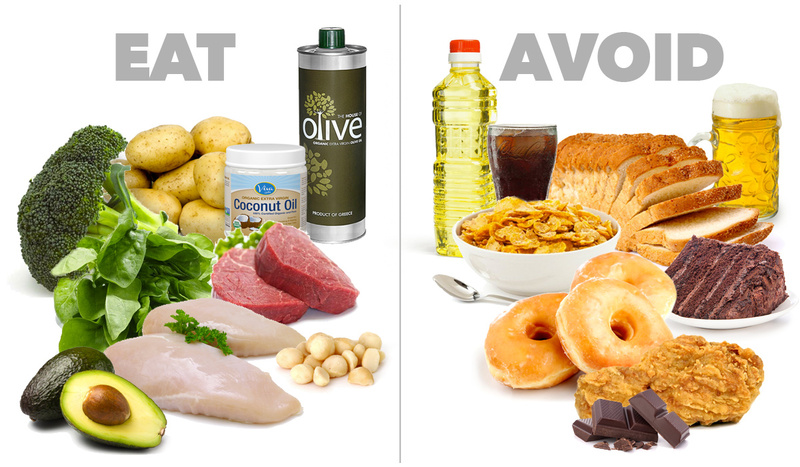 Alternatives: Use healthier fats like coconut oil, butter, extra virgin olive oil or avocado oil instead. Considered a healthy alternative to butter once is no longer the fact. Fortunately, most people have now realized that this is far from being true. Margarine is a highly processed pseudo-food that has been engineered to look and taste like butter. It is loaded with artificial ingredients, and is usually made with industrial vegetable oils that have been hydrogenated to make them more solid. This increases the trans fat content significantly. Keep in mind that manufacturers can label “no trans fat” to their products as long as it contains less than 0.5 grams per serving, which is still a significant amount. Alternatives: Use real butter instead, preferably from grass-fed cows. Most pastries, cookies and cakes are extremely unhealthy but most of us know this already. They are generally made with refined sugar, refined wheat flour and added fats, which are often disturbingly unhealthy fats like shortening=trans fat content is high. These tasty treats are literally some of the worst things that you can put into your body besides it having no essential nutrients with tons of calories and ingredients totally unhealthy. Foods to have holidays, once in a while. Potatoes whole and white, that are very unhealthy. However, the same can be said of the products that are made from them, such as potato chips and with our typical burger french fries . These foods are very high in calories, and it is easy to eat excessive amounts. 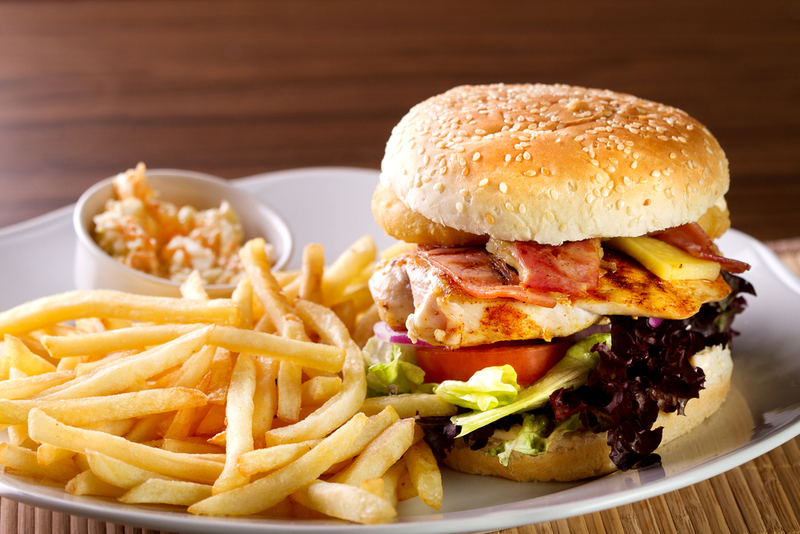 Several studies link consumption of french fries and potato chips with weight gain. Stay tune tomorrow for part II on more unhealthy foods in your routine diet. Part 2 Anorexia vs Bulemia with medical complications, RX & When to see a doctor. Eating in secret. Because of its powerful pull, an eating disorder can be difficult to manage or overcome by yourself. Eating disorders can virtually take over your life. You may think about food all the time, spend hours agonizing over what to eat and exercise to exhaustion. You may feel ashamed, sad, hopeless, drained, irritable and anxious. You may also have a host of physical problems because of your eating disorder, such as irregular heartbeats, fatigue, and bowel or menstrual troubles. If you’re experiencing any of these problems, or if you think you may have an eating disorder, seek medical help. Unfortunately, many people with eating disorders resist treatment. If you have a loved one you’re worried about, urge him or her to talk to a doctor. Even if your loved one isn’t ready to acknowledge having an issue with food, you may be able to open the door by expressing concern and a desire to listen. If you’re concerned your child may have an eating disorder, contact his or her doctor about your concerns. You can get a referral to qualified mental health providers for treatment. Keep in mind, however, that in children it’s sometimes hard to tell what’s an eating disorder and what’s simply a whim, a new fad, or experimentation with a vegetarian diet or other eating styles. In addition, many girls and sometimes boys go on diets to lose weight, but stop dieting after a short time. If you’re a parent or guardian, be careful not to mistake occasional dieting with an eating disorder. On the other hand, be alert for eating patterns and beliefs that may signal unhealthy behavior, as well as peer pressure that may trigger eating disorders. What do you do if you or your child or family is stung? Part 2 BE ALERT TO SPRING INSECT STINGING VISITORS & KNOWING WHAT TO DO IF STUNG! admin on Part I How Music Impacts The Brain! Just Donuts on Part I How Music Impacts The Brain! Beth Lynch on Part 2 Diagnosing and Treatment of Iron Deficiency Anemia.